Postnatal Prep – What to expect after giving birth? 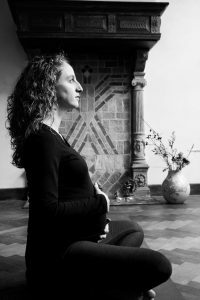 This mini birth course consists of two evenings of 2 hrs in which we combine prenatal yoga techniques with general information about birth. Our goal is to mentally and practically prepare you, or you and your partner together, for giving birth. We elaborately discuss the process of birth and its phases, how to cope with different types of contractions, we practice breathing techniques, yoga & birth poses and movements which support dilation and look at ways in which your (birth) partner can support you best during all of it. You can join in the course either alone or together with your life partner, but also with the person that will support you during birth; be it a friend, your mother or your doula. In case you do not have the chance to join in two evenings; we also offer the Prenatal Partner Class of 2 hrs. Read more about it. 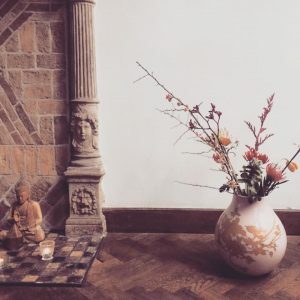 The Birth Prep Courses generally take place in Dutch on Friday evenings in city centre Utrecht, yet if you are interested in an English Birth Prep Course, send us an a-mail to discuss the options. We can always arrange a private session in English (2 x2 hrs). After completing the mini course you receive a handout and e-mail with links to documents, instruction movies and images. Good to know: Birth Prep Mini Courses are taught in Dutch by standard. If you want to take it in English, send us an e-mail for options. We also offer private courses! New Dates for Birth Prep Courses in Dutch are available on our Dutch web page. Location: Ruimte voor Aandacht, Singelsteeg 2, (ally from the Westerkade), city centre Utrecht. You can attend the course either alone or together with your (birth) partner. When coming together, a different price applies, see below. After completing the course you will receive a digital handout met de besproken oefeningen, incl. images and instruction movies. Signing up is possible through our yogaschedule. Find the date of your choice and sign up! Places are limited to 6 couples or 12 people. Rather one Partner class of 2 hrs? For those with limited time we offer a Prenatal Yoga Partner class. In 2 hours we prepare you two for birth with general information, techniques for breathing, yoga and partner massage as well as positions to give birth together. We deliberately discuss the role of the partner in the process and we actually practice the techniques. Read More.